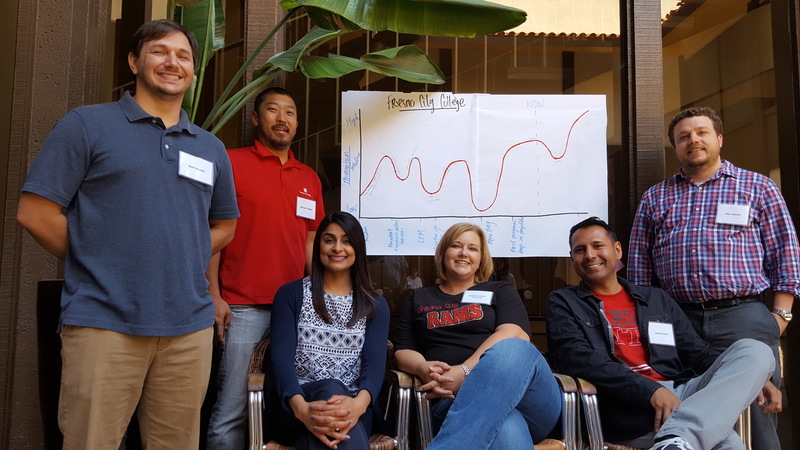 The Research and Planning Group for California Community Colleges (RP Group) launched Leading from the Middle (LFM) Academy in 2013. LFM was a response to the dearth of professional development to support the growth of middle leaders across California Community Colleges (CCCs) at a time when the community college reform movement was picking up speed, both at the system and state levels as well as within the institutions. Since their inception, Leading from the Middle academies have served more than 450 middle leaders (deans, directors, department chairs, faculty coordinators, classified staff, counselors, and instructional faculty) from nearly 70 community colleges. There is a growing recognition among community college educators that the colleges can develop and implement structural changes that will substantially improve student outcomes. As colleges across the system are preparing for the adoption and implementations of the Guided Pathways framework, understanding and supporting middle leaders will be imperative. The Guided Pathways model requires rethinking campus policies, procedures, and practices through cross-functional inquiry and inclusive decision making. Through project and problem-based learning, LFM’s academies help participants hone individual and collaborative leadership skills needed for this transformative work. Middle leaders will be critical agents in this change process that will require a long-view, a heavy lift, and the engagement of the entire college over many years. ​For more information, please send an email to Dr. Robert Gabriner, LFM Director.